The incumbent President Paul Kagame of Rwanda Re-elected to Power giving him a third seven-year term. His victory was announced Saturday morning in Kigali the Capital City of Rwanda with a 98% win of the Total votes. Many Rwandese credited President Paul Kagame, for ensuring peace, stability, security and economical development of Rwanda. 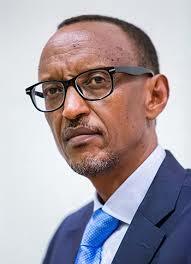 President Paul Kagame of Rwanda greatest achievement he was credited for is stopping rebel forces to stop the massacre of the people of Rwanda both the Tutsis and Hutus which resulted into a Genocide in 1994 displacing a millions of people in neighboring countries of Uganda, Burundi and Congo. At Rwanda’s electoral commission headquarters in Kigali, the commission’s executive secretary, Charles Munyaneza, said he had been “very satisfied” with the voting process. Rwanda, known as the land of a thousand hills, it is indeed a country surrounded by beautiful hills and mountains that attracts thousands of Tourists to explore it’s beauty. The most Tourist attraction being the Mountain Gorillas. Recently a fee to see these Gorillas was hiked from 750USD to 1500USD due to high demand of these Gorilla Permits.